The statistics from the Centers for Disease Control and Prevention are staggering: they report that about 32 percent of children are overweight, and 16 percent are obese – 11 percent were extremely obese. But are companies like Pepsi trying to do what’s right, or are they just shuffling the same deck of cards – the one that’s stacked against us? As this piece at Yahoo.com rightly points out, companies like Pepsi have one and only one obligation – to increase stockholder’s value. Which means, sell more product. That said, you could still increase the bottom line while making your products healthier. Pediatrician David Ludwig and Marion Nestle, a professor of nutrition at New York University, co-authored a commentary published in the Journal of the American Medical Association that raises questions about whether or not big food companies can be trusted to help combat obesity. Food makers spend about $1.6 billion annually to market their unhealthy foods to kids, according to the Federal Trade Commission. Do they really want that money to go to waste? Maybe this will come as a shock to you, but studies supported by the junk food industry may not be altogether, shall we say… truthful, about health effects of their products. Political lobbying – it’s the American way. 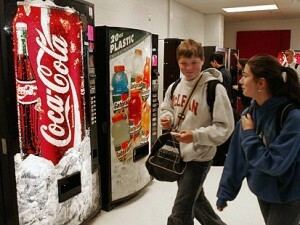 The American Dietetic Association accepts money from companies like Coca-Cola. Doesn’t that strike you as a little odd? The heaping helpings of food company profits come from government-subsidized commodity crops, like corn, wheat, and soybeans. Those get turned into fast foods, snack foods, and beverages, which in turn become cash cows for the product makers. Go natural – it’s more filling. 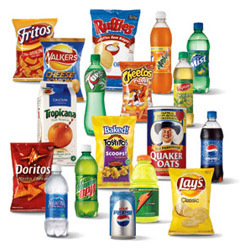 Junk food is often eaten in mass quantities because it’s not filling. They like it that way. Schools now have sports drinks instead of soda. The problem is, many of those drinks have nearly, or just as much, sugar as the soda they replaced. 7. A health claim on the label doesn’t necessarily make a food healthy. Health claims: just because they say it, doesn’t make it so. “Zero trans fats” or “whole wheat” are nice. But if the product also has excess salt, sugar, or saturated fat, not so good. They don’t want you to clearly understand the health concerns of eating their products, so they lobby to make the language more ambiguous. (Reference the recent promotion of high fructose corn syrup by the Corn Refiners Association). 9. The food industry funds front groups that fight anti-obesity public health initiatives. The Center for Consumer Freedom (CCF)… freedom to be fat, is more like it. The CCF doesn’t like it when advocacy groups fight on behalf of public health issues. So they fight back. According to the Journal of the American Medical Association, the CCF has stated one of its goal as “to shoot the messenger.” Pretty nasty stuff. I like that so many blogs are spreading the word about the JAMA piece — and about the CCF. I don’t think any of these things are a real secret. Maybe if you only read the front of the packages of food you buy and not the back. The back of the packages are where they list the ingredients and nutritional content of each. And from that you can clearly see why it’s called junk food in the first place. Great info! thanks for getting the word out!